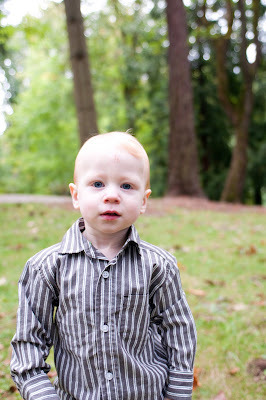 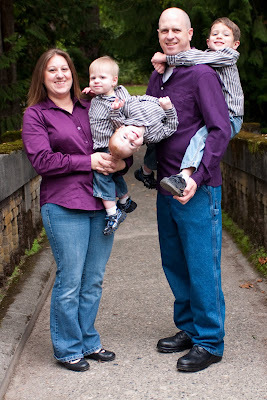 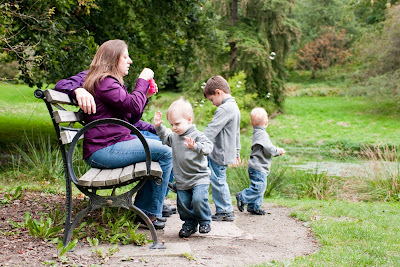 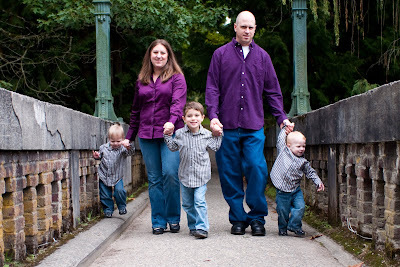 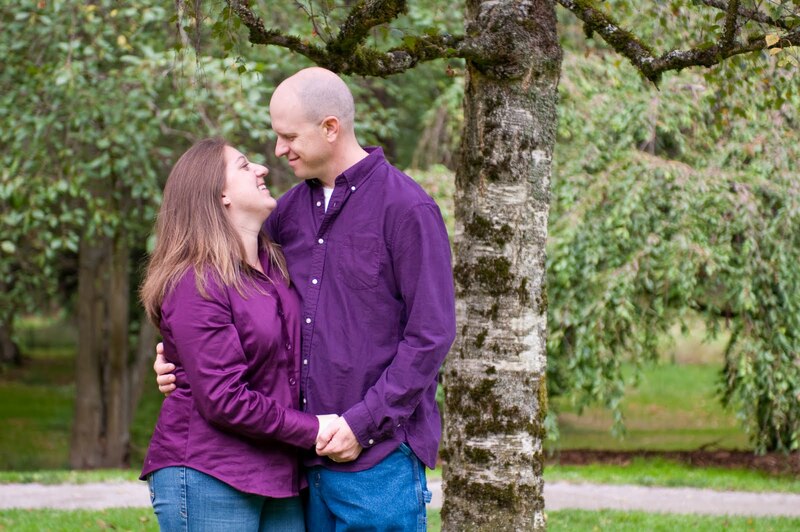 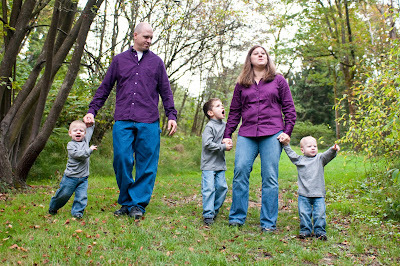 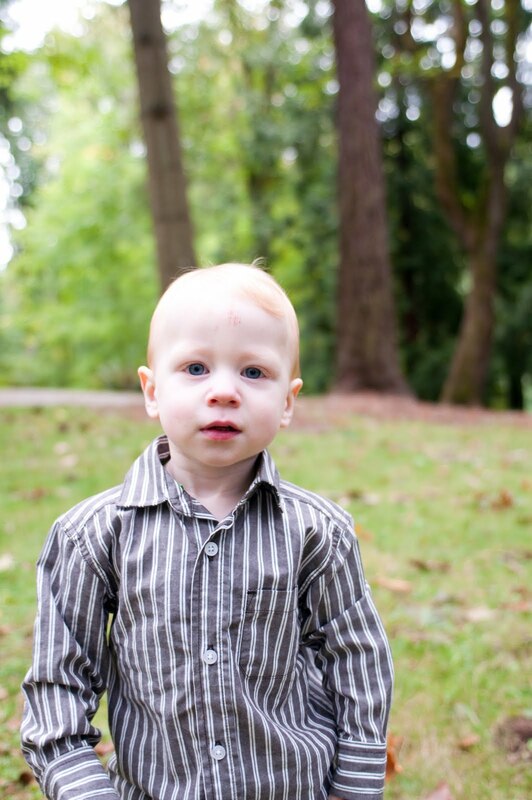 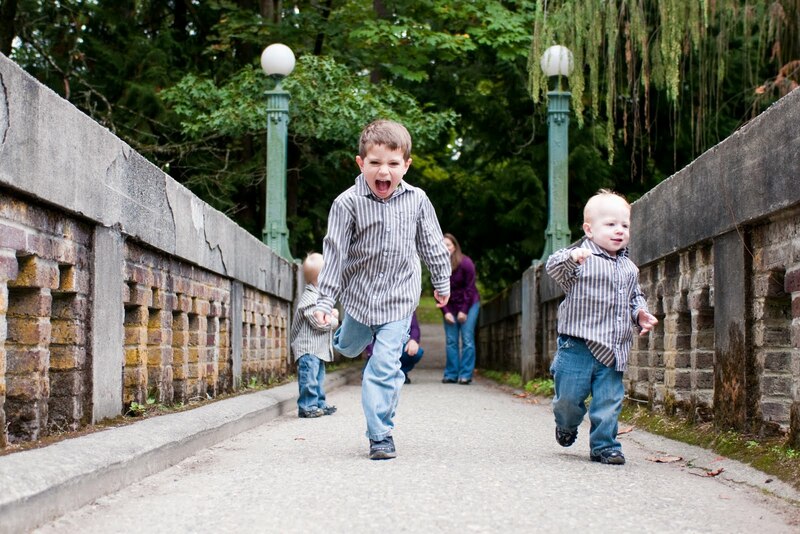 I did this family's pictures last year and today we met again at the Arboretum in Seattle. 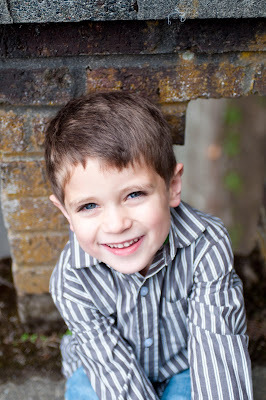 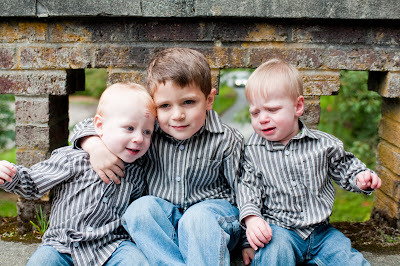 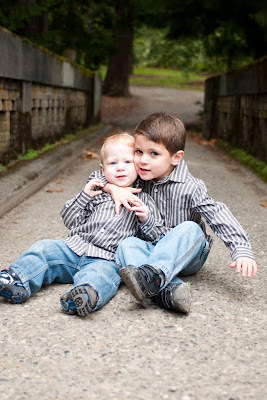 The boys are growing up and they made me work hard for my pictures today! 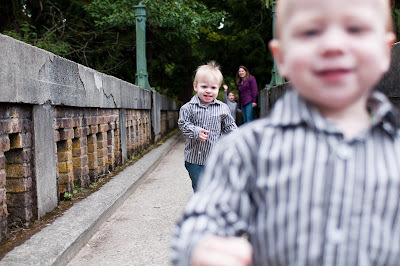 Full of energy and a wide woodsy "play ground" for them to run around left my camera the least of their priorities. 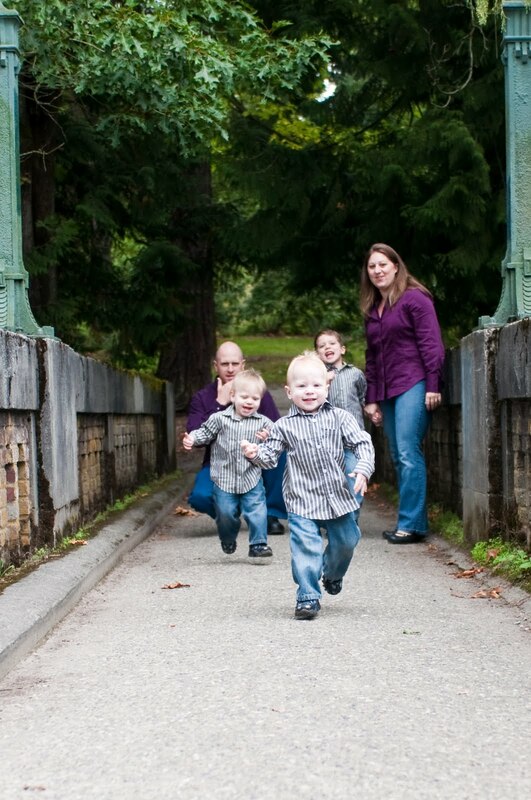 But, patience and perseverance paid off and while we may not have gotten very many with everyone looking we were able to capture how much fun these little guys are. 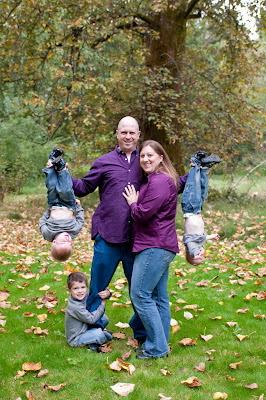 Okay, maybe not the choice for the wall frame, but I think this will end up being a cherished family picture. 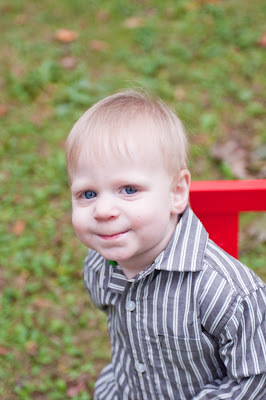 Serious, it cracks me up! LOVE the one with Dad holding the boys upside down!